Buyers Guide to Drum Machines | GAK Buyers Guide! 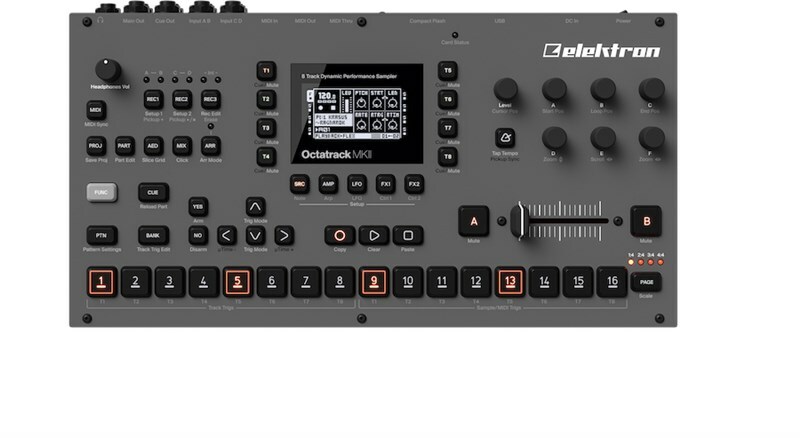 The evergrowing demand for drum machines has kept manufacturers on their toes for a while now. This steady increase in popularity means for you as a consumer, the selection has never before been more plentiful or diverse. A drum machine is a pad-styled piece of hardware used to perform and sequence drums, cymbals, percussive instruments and every now and again, basslines. They come in all shapes and sizes and offer different features based on their musical direction. Drum machines are typically used in Electronic music, however, it’s is becoming more and more clear that musicians of all styles are finding a use for them now they can upload their own sounds and samples. Whether its drummer replacement or percussive overlays the value of drum machines is steadily rising, whilst the price falls! First introduced by Leon Theremin in 1930-32, the Rhythmicon was the first innovative but intractable drum machine ever produced. Designed to play compositions with multiple rhythmic patterns, it was an idea that would go on to become a defining piece of technology that would continue to evolve for years to come. Drum machines commonly feature a step sequencer, some onboard effects, pressure sensitive pads and some form of editing & mixing capabilities. This allows you to perform with expression and create natural-sounding drums that suit the dynamic changes of the style of music you’re accompanying. Some drum machines also allow for additional control to help you keep things interesting. These include tempo adjustment, swing, roll, accent, flam and more. Through a combination of all of the above, you really have the ability to create any style you desire. Natural acoustic, pop, folk, rock, atmospheric, the list goes on. Your initial choice between an analogue or digital drum machine will determine a few distinguishing factors. Digital systems are capable of storing a much wider range of sounds, including pattern and preset storage for saving your favourite personalized sounds or full kits for future use. Whereas analogue systems consist of real hardware components. This means they may not grant as much versatility or selection, but will surely make up for it with some additional character or warmth that is non-re-creatable through digital simulations. It also means your drum machine will perform in a true analogue nature as it reacts to various conditions or levels of performance – it doesn’t get more analogue than a drum machine that grooves differently as it warms up. Who doesn’t love “the real thing”. The way in which a drum machine is applied is very circumstantial. Electronic music revolves around the innovative, experimental and diverse drum styles that seem all too familiar now. However, this was not always the case. 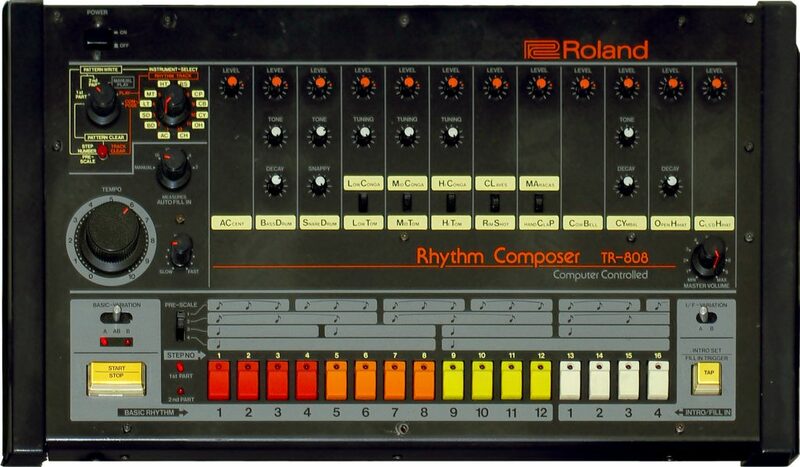 Upon release, certain drum machines went on to define eras – most notoriously, the Roland TR-808. 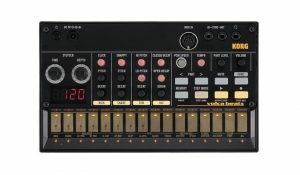 Despite it being nearly 40 years since it’s release, this is still a highly sought after drum machine that has rocketed in price to £3k+ since it’s release. My point is, usually when people want their drums to sound like a previous generation of the genre, it’s down to the style of kit used rather than the pattern. If you desire the sound of the mid-80s electronic, dance, and hip-hop scene, then its the 808 style sound you’re after. Whereas rock music has its own style. It’s becoming increasingly popular for Rock artists to programme their drums rather than use a real drummer. This is because of the incredibly tight and punchy results that can be achieved if used correctly. The ease of programming and constant reliability make drum machines a great songwriting tool for musicians looking for inspiration. So it’s really up to you how to apply drum machines to your workflow. It wouldn’t be a guide for Drum Machines without featuring Akai’s renowned MPC range. 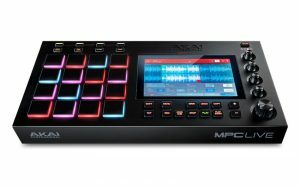 The MPC Live takes years of experience and refined tech and puts it into a neat, easy to use production station that bursts style. Not only do you have an outstanding drum machine here, but an extensive all-in-one standalone music production suite truly capable of bringing the heat. If you’ve been paying attention, you will have noticed the 4-figure sum that an original TR808 would set you back. 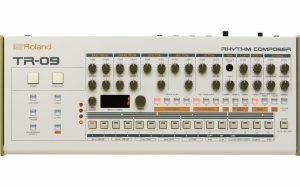 What if I told you that you could own a meticulously-made 808 clone, manufactured by Roland themselves, for under £350? Meet Roland’s TR-08 Boutique. Maybe you’re more of a 909-type person? fear not. Roland has you covered with the TR-09 Boutique. 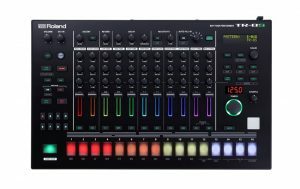 Roland has created something special with the TR-8S. A drum machine, digital instrument and the highly anticipated update of the AIRA TR-8, released back in 2014. It offers a smooth and effortless workflow – achieving high-quality results and professional sound quality has never been easier. 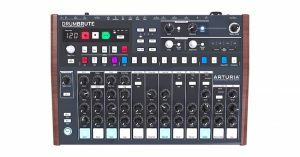 Arturia has made a bold and highly respectable entry into the drum machine market with the Drumbrute. Providing 17 distinct, fully analogue drum and percussion instruments with an intuitive sequencer, massive connectivity, a two-mode Steiner-Parker filter, and dynamic performance controls, the DrumBrute will take your beat production to the next level. 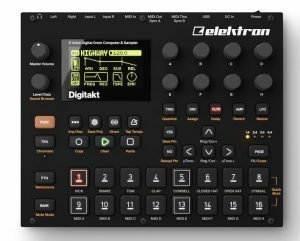 Anyone who has used Elektron products will associate them with unparalleled quality and unique workflow. It goes like this; you pursue a long road of discovery, forget everything you thought you knew, and then opt to never buy products from any other brand again. 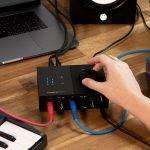 The Digitakt retains all the functionality and quality of its big brothers but in a compact and easier to use layout, at well under half the price of traditional Elektron products. If you haven’t heard this thing in action, I strongly recommend you do your research! 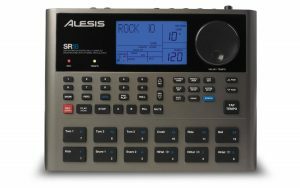 The Alesis SR range is great for those of you looking to integrate a drum machine with preset (and programmable) patterns into your bands live set. It has been the standard for artists in need of accompaniment for years now and bridges the gap between non-techies and drum machines. The SR18 can also add bass. Who needs a band these days? If you’re on a budget and looking to experiment with drum machines, look no further than Korg’s popular Volca Beats at under £150. This little monster is feature packed and sounds great if you hook it up to some speakers! Still feeling unsure? Please don’t hesitate to get in touch with our experts on 01273 665400 to discuss your options in a little more depth. Next Top 5 Synthesisers over £500 pounds! 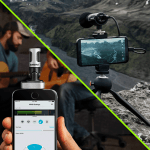 MV88+ MOTIV vs MV88 iOS Condenser Mic – Pro Audio on the Go! 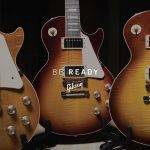 The NEW Gibson Collection… What We Know So Far! Native Instruments Launch KOMPLETE START Software Instrument Suite! 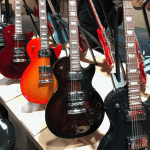 NAMM 2019 – First Photos From The Gibson Stand!